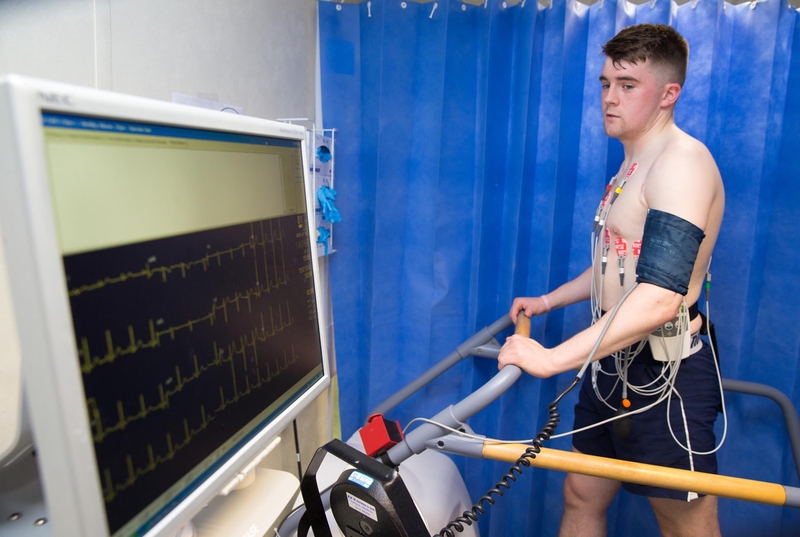 MINISTER of State Patrick O’Donovan has put himself through the rigours of cardiac assessment in the full glare of the public eye in a bid to raise awareness of cardiac risk in the young. The Limerick TD, Minister of State at the Department of Finance and the Department of Public Expenditure and Reform, received a full cardiac assessment at the Cardiac Risk in the Young (CRY) Centre in Tallaght University Hospital on Tuesday in an effort to raise awareness of CRY and their life-changing services. CRY is an Irish charity that facilitates free cardiac assessments and support to individuals and families who have lost loved ones to SADS (Sudden Arrhythmic Death) or are affected by inherited cardiac conditions. Minister of State O’Donovan has personal experience of the effects of SADS in his local community. The Herlihy family tragically lost their daughter, Niamh, in 2011, to SADS, and the O’Donovan and Scanlan Family lost Darra eight months later, and now regular screening is essential for all their family members. Also in attendance was Niamh Herlihy’s brother, 22-year-old Kieran, who is an active footballer and hurler for his local Monagea club. 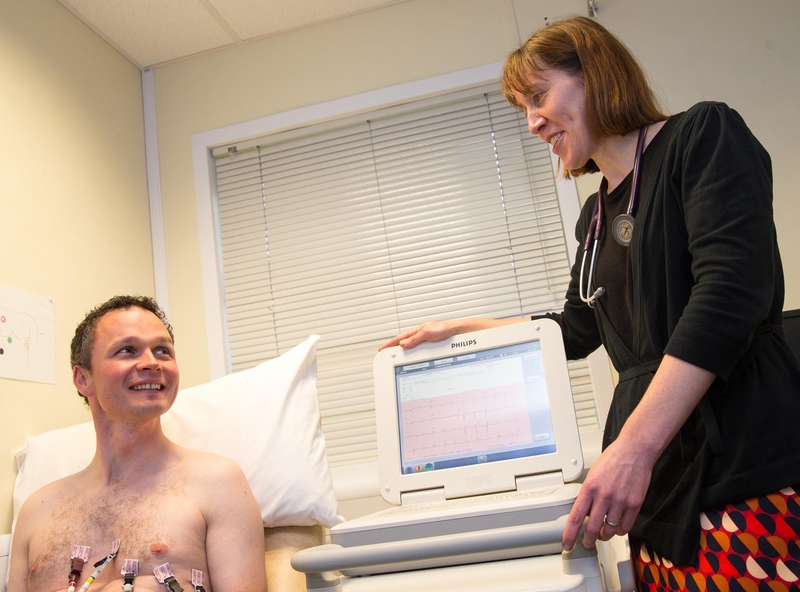 Kieran receives regular cardiac screening as the risk is greater for him and his other family members. “We want people to be aware of the risks and to know that CRY provides comprehensive evaluation and treatment for people diagnosed with, or at risk from, heart disease, particularly at a young age. The service today was outstanding, it was reassuring to know that all aspects of cardiac assessment are examined at the CRY Centre with such thorough detail and care,” said Minister of State O’Donovan. Tommy Fegan, Chairman of CRY (Ireland) welcomed the Limerick TD to the CRY Centre. “We are excited by the engagement of the government in our plans to expand our services at Tallaght University Hospital. We have very ambitious plans as a charity to raise over a half a million euro in six months in order to provide more free cardiac screening and assessment,” he said. “We are grateful to individuals and companies who support us and call on anyone interested to please get involved in our fundraising events and initiatives across Ireland,” he added. Approximately two people under the age of 35 die every week in Ireland from SADS. Conditions that cause SADS cannot be cured, but if diagnosed, risk of death can be significantly reduced. The best treatment for people at risk is expert assessment and this includes screening.